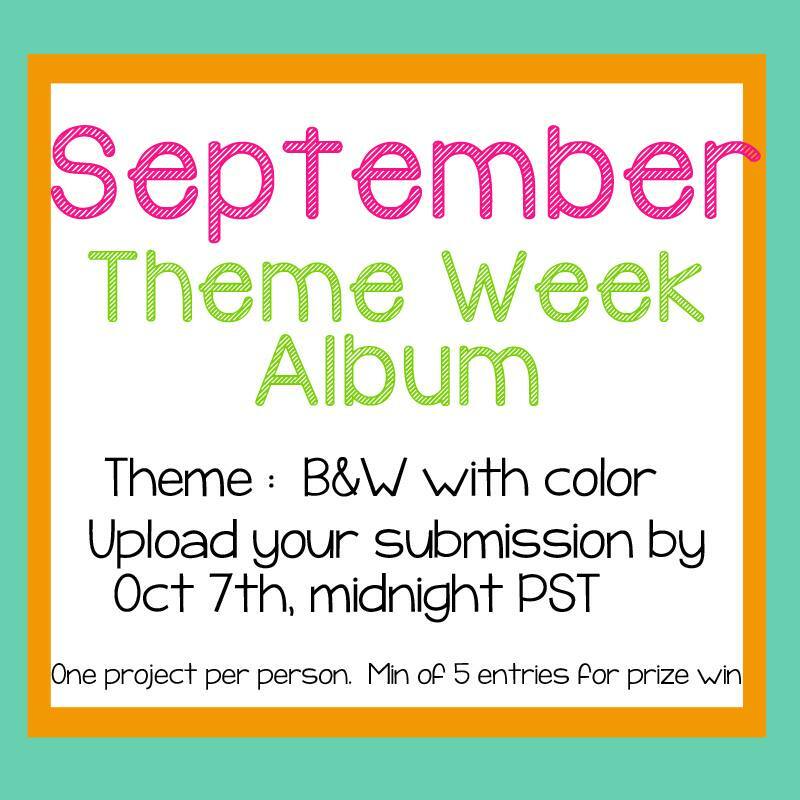 So here we go for September's Theme Week! Make ANY project that is B&W with a burst of color! Hi! JoAnn from JoBoogie Stamping here with a card that I've created for our Black & White with a burst of color theme week! 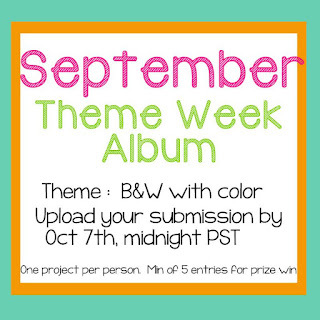 I hope you will play along with us in our Monthly Theme Week! You can see and post all your projects in our Facebook Group HERE. Today I've created a card using Holly - Sweet Dreams. For my card today I colored this sweet little Holly up with my Copic Markers to match the patterned paper I chose (I believe it's from Echo Park.). I used a lot of scraps on my card, because, really, we all should be using all the scraps we have, don't you think? :) I stamped the sentiment image on some white cardstock and punched it out using an oval punch and added a couple of enamel dots. Super easy and very fun! Thanks so much for stopping by today and for checking out my card! Sweet dreams and have a sweet week! It's Wednesday and it's my day to post over at Stamp Anniething! Here's the card I created to share with you today! For my card today, I colored up this cute little Kelly - Book because I've been super inspired by reading lately. AND, she happens to be cute too. :) I paired her up with sentiment from the Enchanted set from Jaded Blossom that I thought was so super perfect for this card. I thought it would be fun to give away as a birthday card for a present that has to do with reading - like a book, a kindle, or a gift card to a bookstore! 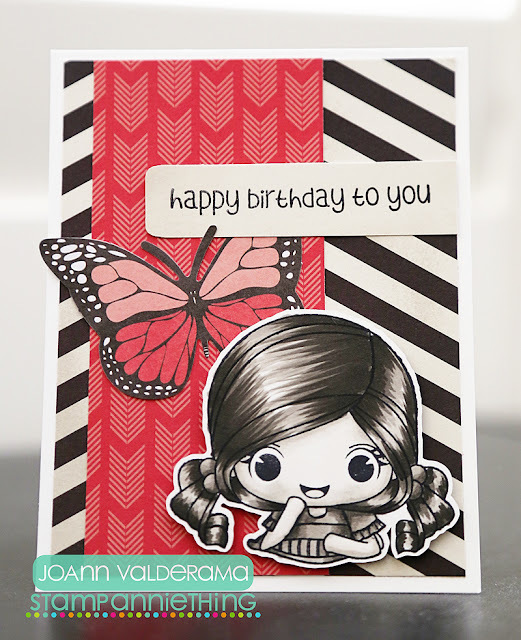 Stamp Anniething September Release Day #3: Julie! Julie is available RIGHT NOW, along with all the other stamps from earlier this week! Now, we ALL know we've got some nautical themed paper and embellishments lying around in our stash - Julie is PERFECT to go along with them, wouldn't you agree? I colored her up with my Copic Markers and used some paper that I had from a Simon Says Stamp kit that I had lying around. My card was literally made in MINUTES! And it's my favorite card that I've created this week. I hope you like it too. I hope you enjoyed our September release week! All the stamps are available NOW! Thanks for stopping by! Stamp Anniething September Release Day #2: Paige! Little Paige wants to dance into your heart! Isn't she so cute?! Paige is so perfect for any tiny dancer in your life and she's totally perfect for those little girl birthday cards and scrapbook layouts that you've been meaning to create! I colored her up with my Copic Markers and added a bit of clear Wink of Stella to her dress (just like when my daughter was in ballet many years ago!). I just love how she turned out! I hope you enjoyed our September peeks so far! Stamp Anniething September Release Day #1: Holly! Nurse Holly wants you to Cheer up! Here's my card for today! So, most of you know that I'm a Pediatric RN and I wanted to make my cute little Holly a little bit more modern and hip (just like me. LOL). So instead of nurse whites (I haven't worn whites in over 16 years! ), I decided to eliminate the hat and color up her clothes in fresh modern colors! I think she came out SOOO cute, don't you? I also wanted to show you that this Holly set is REALLY versatile - you can use the hat or not, it's totally up to you!